The 2013 Fencing World Championships are approaching and the pre-competition ad campaign by the FIE is gaining traction with press mentions rolling in from around the sports world. 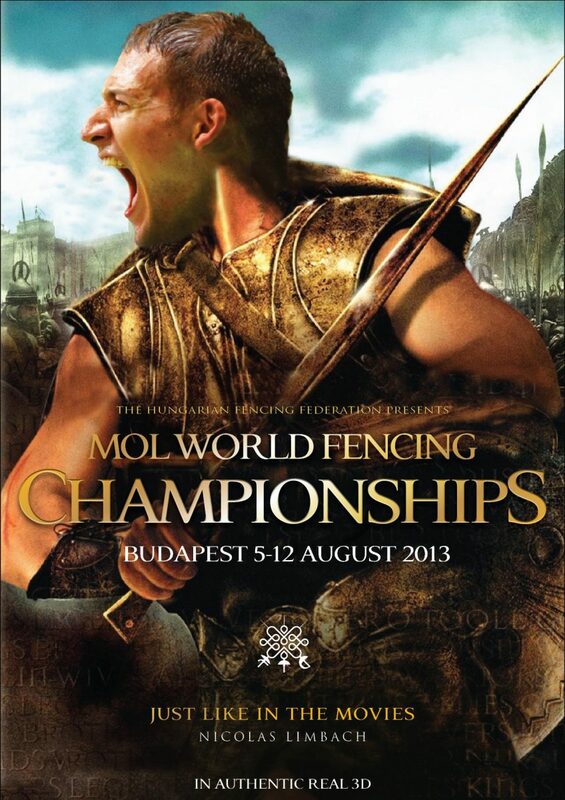 The world championships will be hosted in Budapest, Hungary from August 5th – 12th and features individual and team events across the 6 fencing disciplines. 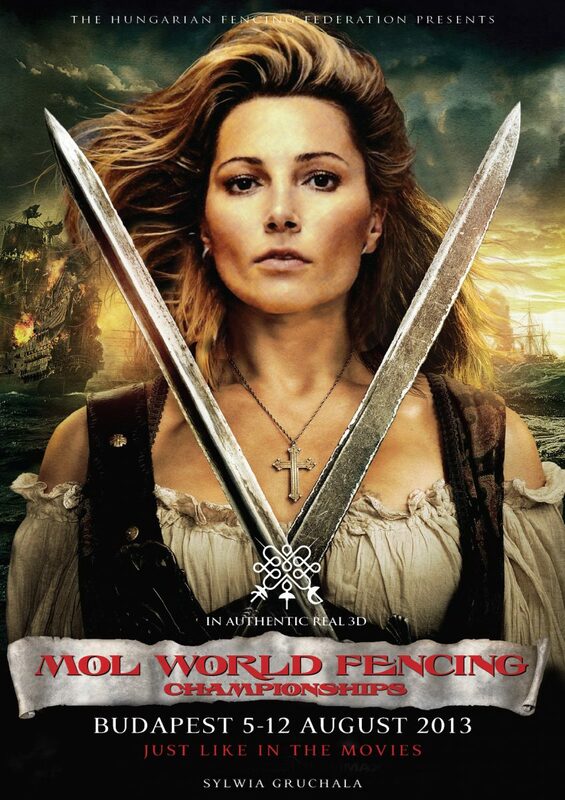 Part of the ad campaign features movie posters photo-shopped with the faces of top international fencers in the lead roles. 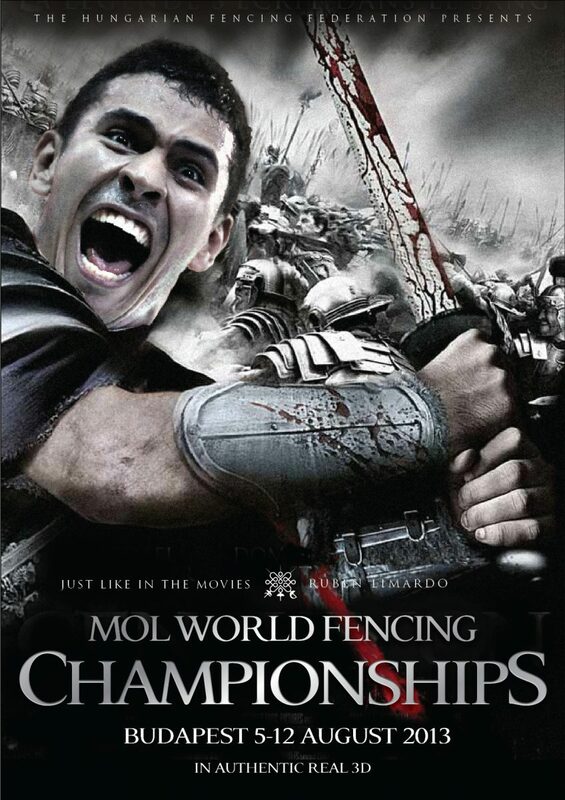 For more, check out the World Championships site where you can download the movie posters and all the files you need to create your own fencing movie posters. Fencing coverage has come a long way – now we’re getting teaser trailers, some fun video work on YouTube, plus daily live streaming of the world championships. While many fencers like to complain that the swordfighting in the movies isn’t realistic or “like fencing”, it’s nice to see some fun had by all with this ad campaign. Ruben Limardo (VEN) looks to repeat his medal from 2012.